22nd November 2016 – Imagine. Implement. The crowd was slightly smaller, but the energy was as big as ever. With claps, claps and more claps, we welcomed our first time guest, Julie from Germany, and the meeting began. Thought of the Day: To imagine is easy. To implement is difficult. Table Topics Master: Jason Koo, ACB, ALB. Word of the Day: Resounding – adjective to describe a loud sound or something unmistakable. Timer & Tip: TM Syatrah Roslan. Tip of the Day: Commit to your plan. General Evaluator: TM Julius Hong. 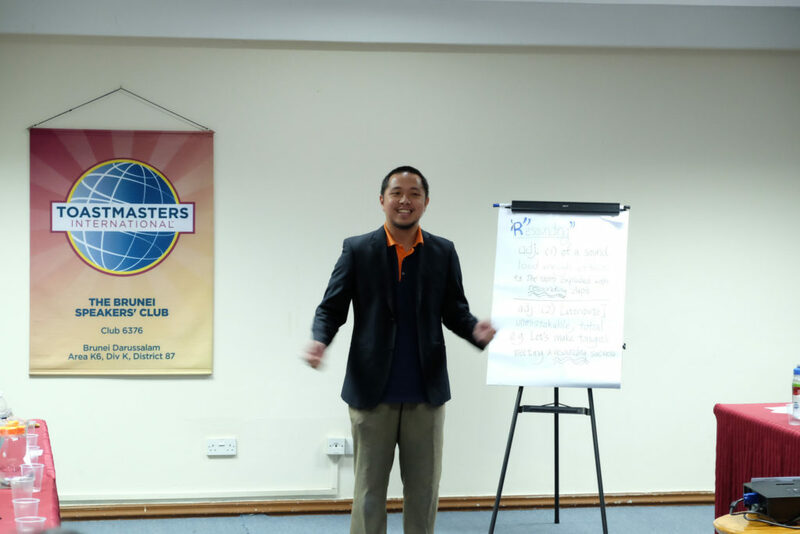 As soon as he was called to the stage, TM Jidun Dollah stood confident at the centre of the stage, and with his usual smile, he started his CC5: Your Body Speaks Project speech titled ‘UK Tour’. Jidun imagined himself a tour guide and he took us around what he identified as his second home. First stop was Manchester United Stadium. He pointed out the endless hues of red that made up the vicinity, and the huge cabinet filled with trophies – some half of his body size, some even larger! He was equally impressed to know that some of the football players were shorter than him. From a big stadium, he took us to an even bigger Cardiff castle. With a height reaching that of the Great Wall of China, he pondered how structures so big could be built in the 11th century. He brought us to our final destination, Bath. Looking around, he pondered if he had travelled back in time as the architecture were more akin to those during Roman times. It was there that Jidun ended his tour there and bid us farewell. 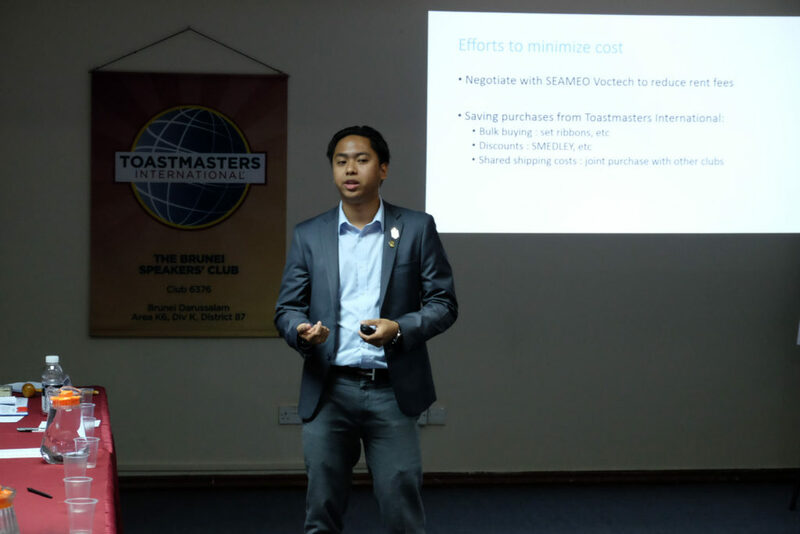 In came our second speaker, Aziman Nasir, CC, ALB, who attempted an advanced communication project, ACB1: The Speech to Inform. 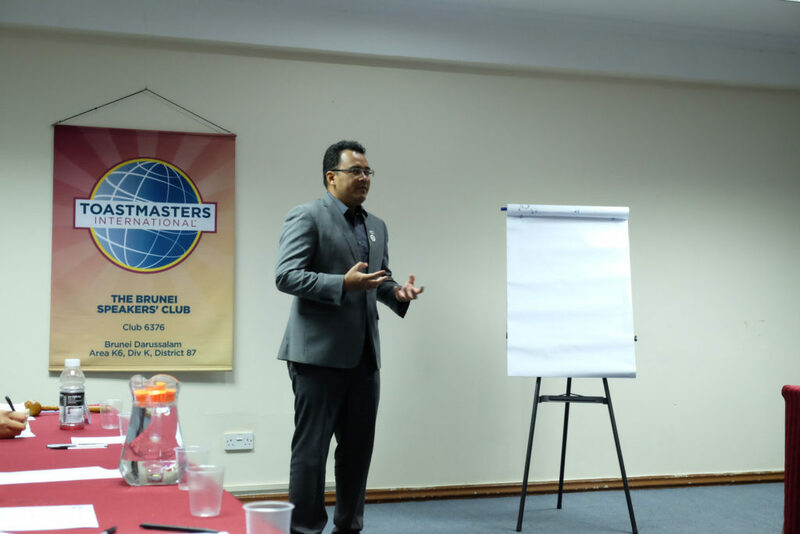 He introduced himself first as our trusted Treasurer before proceeding to inform us on the ‘Revised Membership Fee’. With the help of PowerPoint slides, he shared that Toastmasters International has increased their fee to provide Toastmasters around the world with better services, be it online or other. 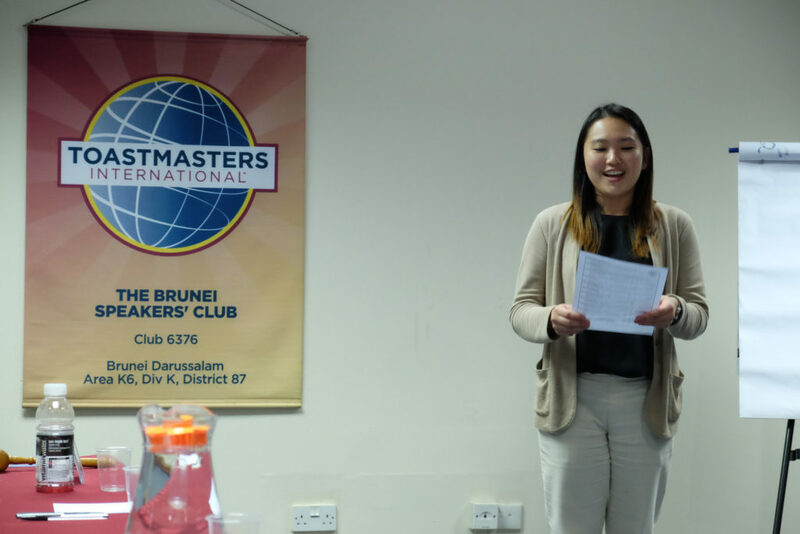 He also explained exactly where Brunei Speakers Club membership fees are used within the club: for paying rent, buying refreshments, and so on. He advised all of us to start saving up since the effect is to take place barely four months from now. 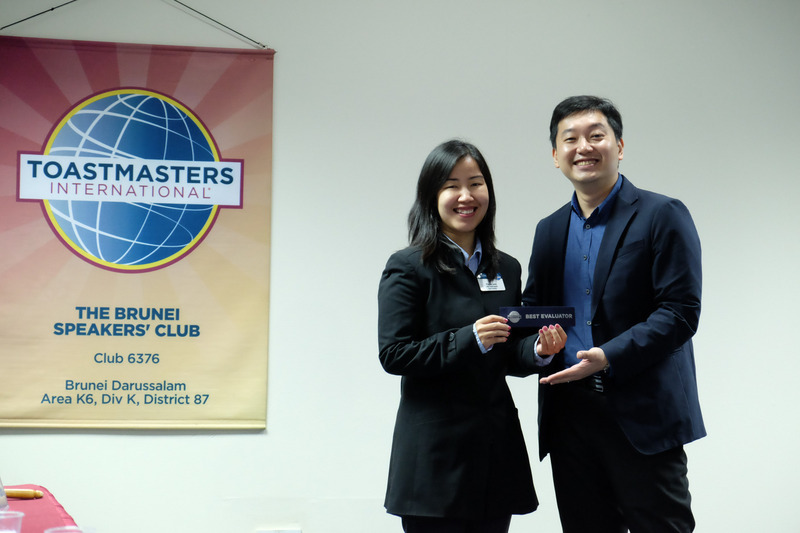 He also tried to convince us that although there will be an increase of $310, it is not much compared to theone year of priceless learning experience we from Toastmasters. 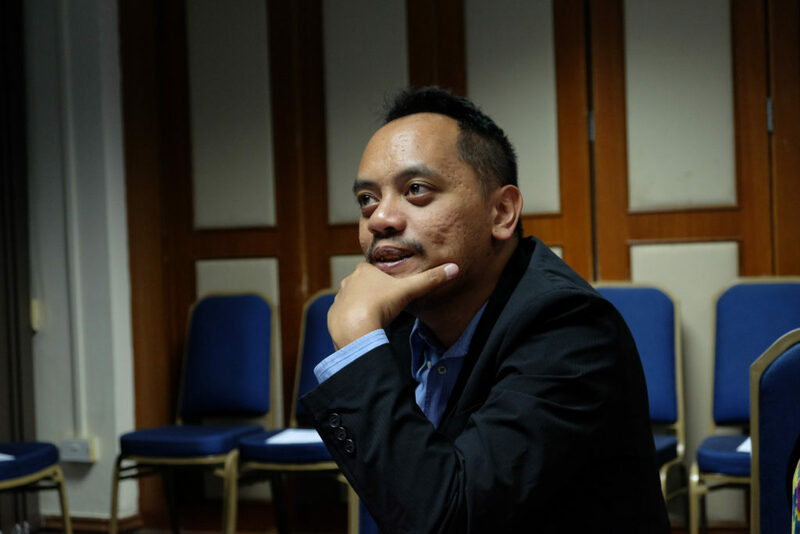 TM Macalister Mak thought himself the Bruneian Green Lantern – anything he imagines can become real. 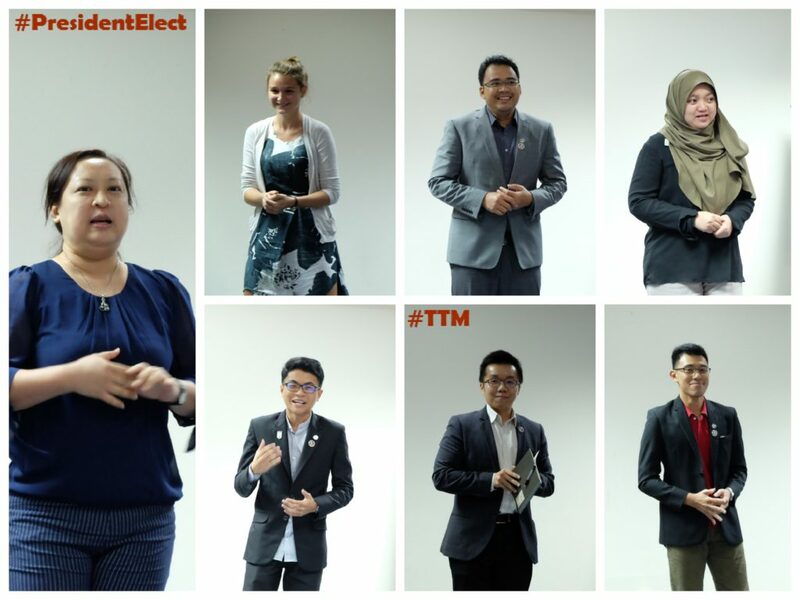 “If you live in KB and your loved one lived at the other end of Brunei, then I will imagine for you a highway that leads straight to her house.” With that, wecan trust that he will use his superpowers for good. “I would probably be mute by 10,” confessed Farhan Jafar Ali, CC, ACB. Being a highly curious child, he would ask his mother ‘why’ all the time. When he tried to do the same with his aunt, he realised that not everyone is as patient as his mother, and he began to appreciate her more. He also wished that with less word allowance, the world would be a more thoughtful place. With double the number of hours in a day, Edy, our soon-to-be member, imagined that she would still not have enough time in a day. 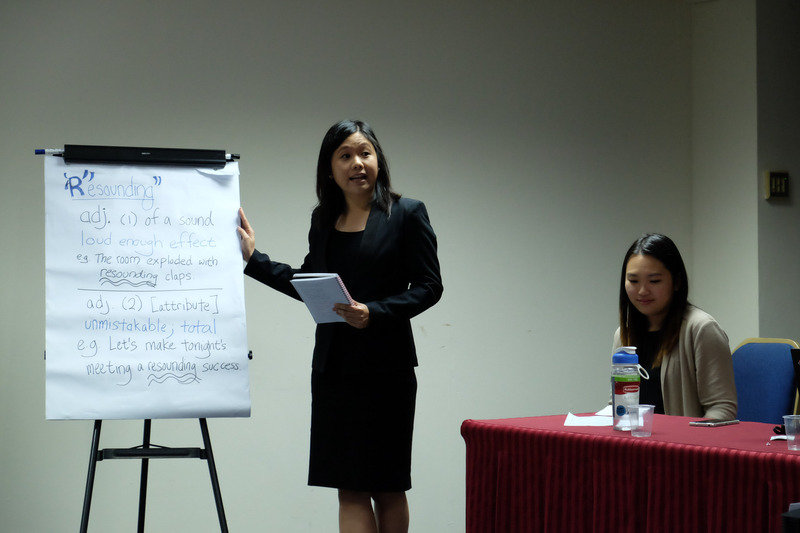 She foresaw double working hours, which she expected double pay for. When she envisioned double holiday time spent with loved ones. With thisshe appeared to be slightly tempted by the 48h day scenario. Our first time guest, Julie, immediately refused the offer if it meant that she would be left alone as her loved ones passed on. She did, however, romanticise the idea of waking up to see what new things she can learn from the world each day. Ong Yin, CL, began by questioning if there was such a position. 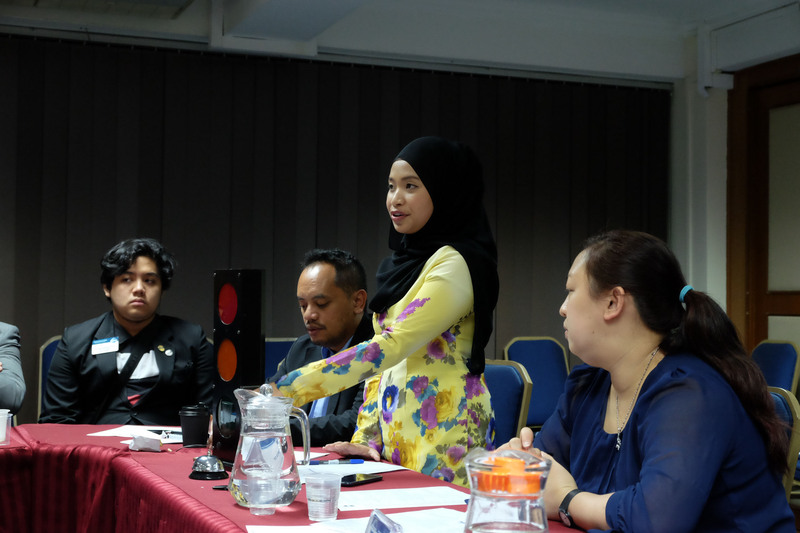 Regardless, she shared her vision of making Model United Nations compulsory in every school. 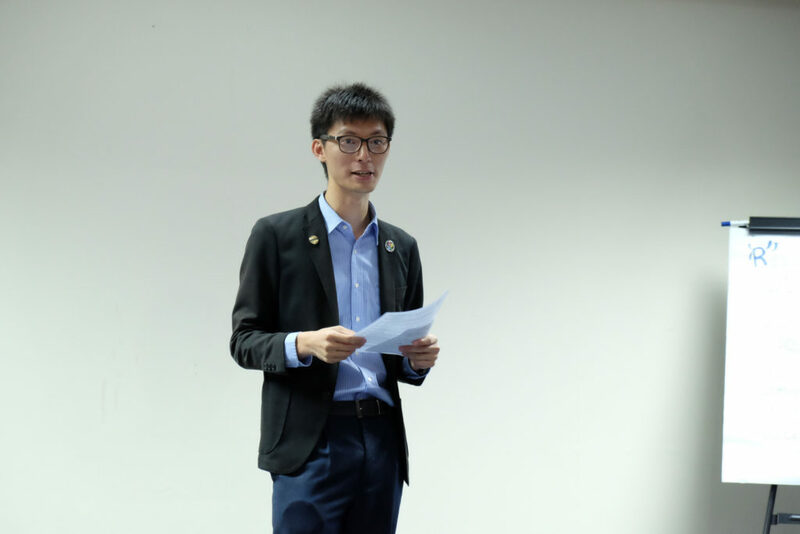 In Model United Nations, groups of students are tasked to represent real countries of the world as nations are faced with simulated scenarios. As they carry out research to come up with feasible solutions, they become very involved with real issues facing the world today. 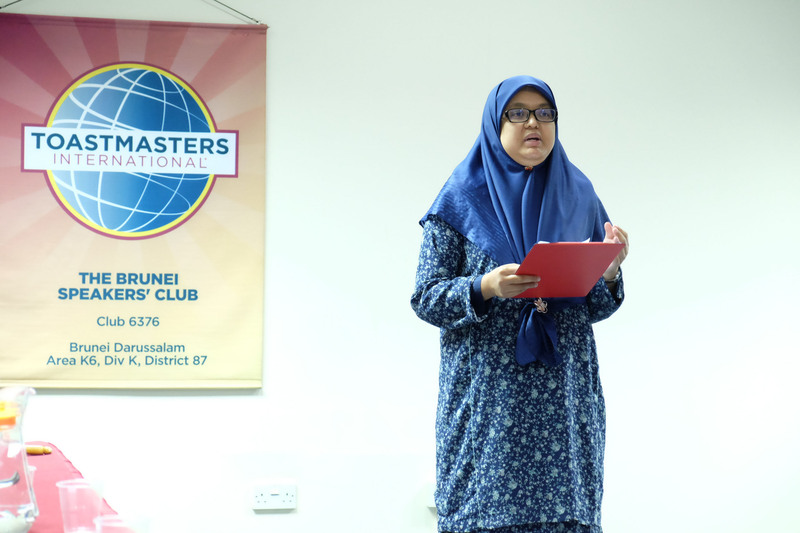 It is a program she believed to have great impact on students’ growth, in addition to raising awareness on global issues and ways in which they can contribute. 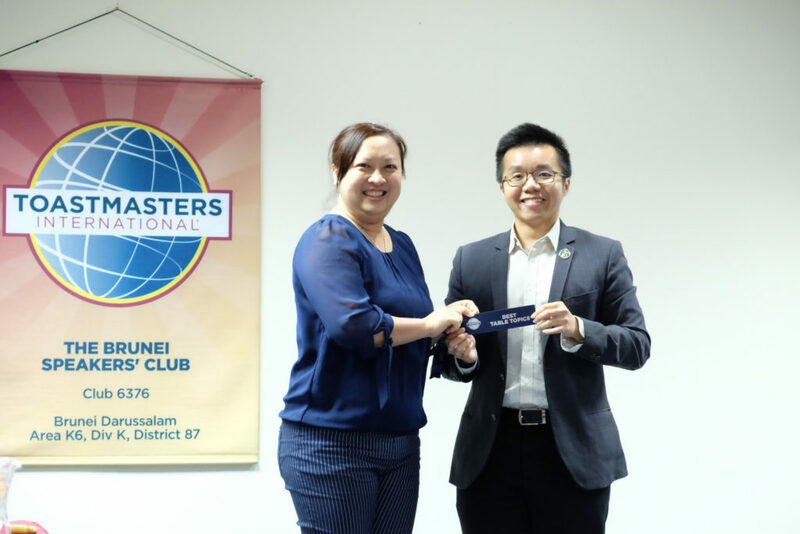 Best Table Topic Speaker: Ong Yin, CL. Best Evaluator: Pranika Lama, ACB, ALB. Our President, Jordan Yau, CL noted the low attendance for the evening’s meeting and attributed it to the End of Year’s exam season and work deadlines. 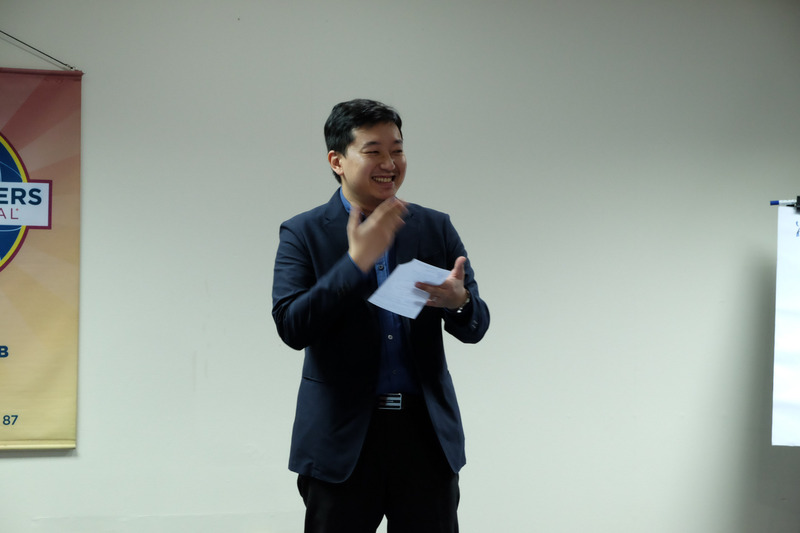 He thanked all who made time to be there to support speakers, energising them with their enthusiastic clapping.